The Sweet Girl: Congratulations Linden! 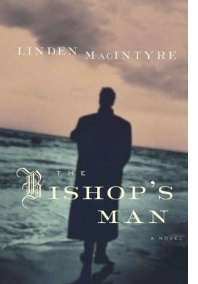 Congratulations to Linden MacIntyre for winning the 2009 Scotiabank Giller Prize for The Bishop's Man. Linden and I share a wonderful editor in Anne Collins of Random House. Kudos! And congratulations to you too, dear Annabel, for being lovely and gracious and showing us all how it's done. And for writing a book that will stand the test of time and for doing it in your own quiet, inimitable way. What an exhilarating and thrilling ride that must have been. Congratulations regardless. Toronto Star Picks The Golden Mean!